← The mexican food challenge: andale! Do you want to treat yourself ? 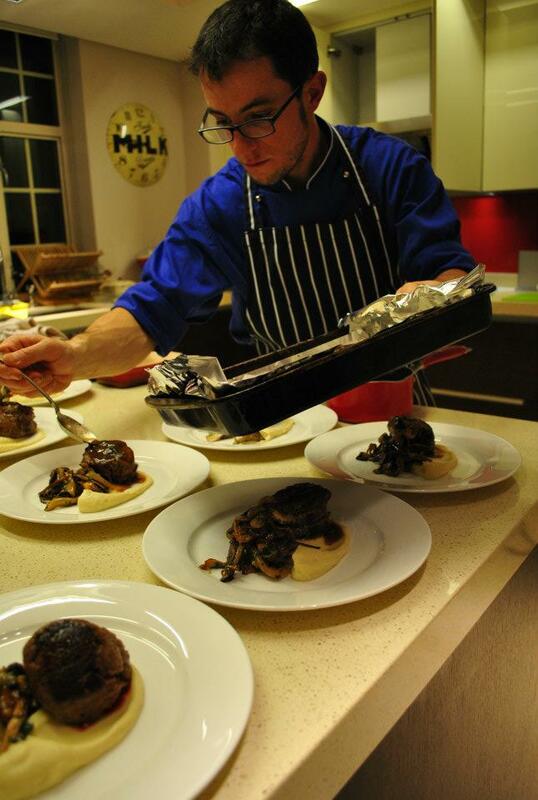 What about an amazing dinner cooked by a chef… at your place? I’m sure you can’t say no! 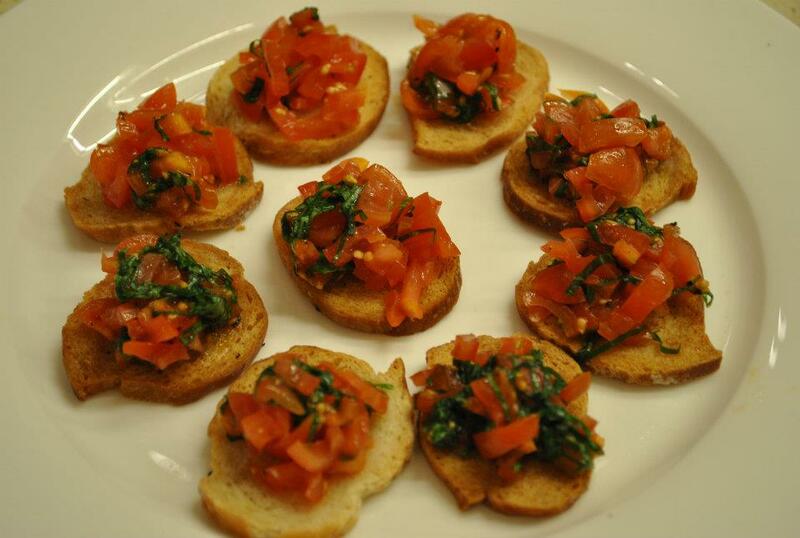 What about if the chef is italian and all his italian dishes are strictly made following the truly italian traditions? Peroni has decided to offer all this …and some beers to some lucky winner of a competition! I have for you a little preview of the dishes prepared… have a look here and get inspired for your next party. I’m sure Mario will be happy to help. 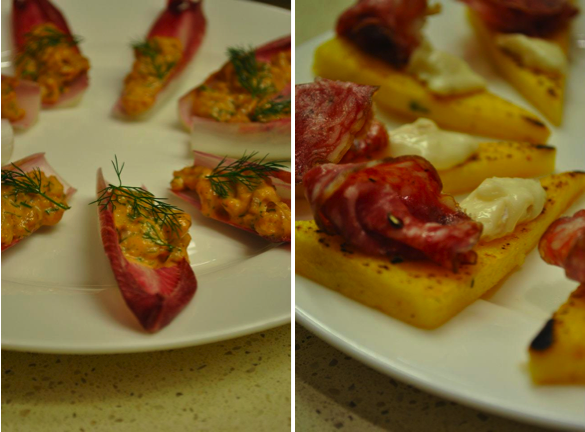 Canape’: Polenta and wild boar salami, radicchio leaves with potted lobster and bruschetta. 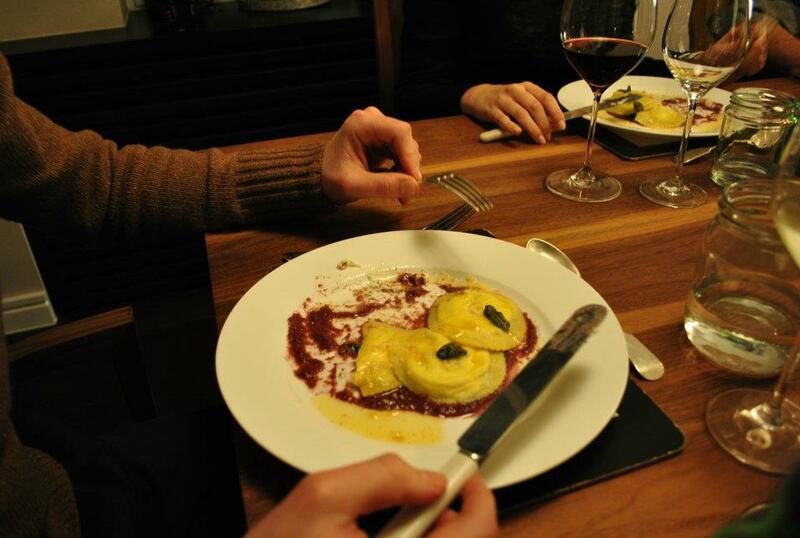 Starter: buffalo ricotta and lemon ravioli with Radicchio di Treviso sauce. 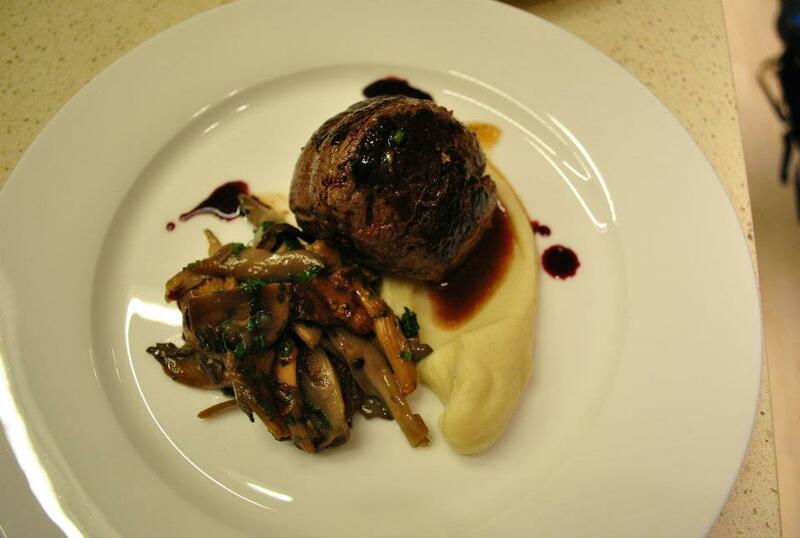 Main: beef fillet, wild mushroom, celeriac pure’, red wine sauce. 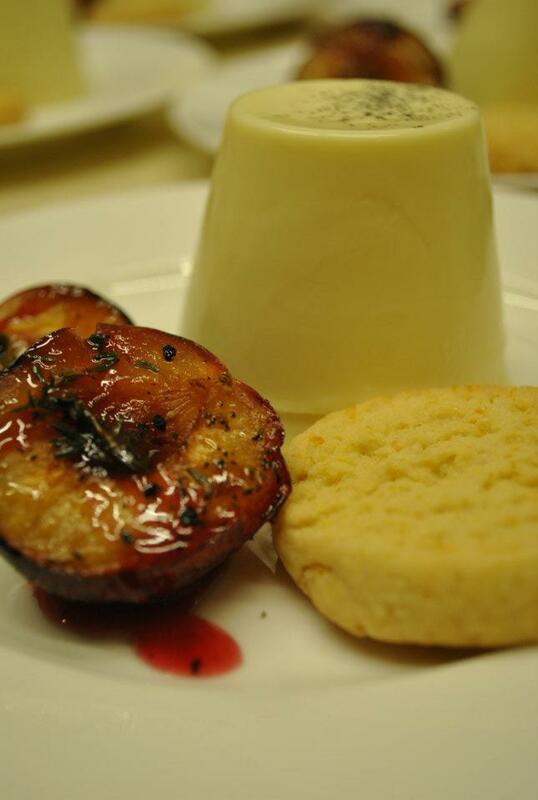 Pudding: vanilla panna cotta, roasted spiced plums, orange biscotti. And here the last picture: I present you Mario… in action! This entry was posted in antipasti - starters, Dolci - Sweet stuff, friends of the blog, meat, pasta and tagged catering services, competition, home, Mario Presi, Peroni, Personal chef. Bookmark the permalink.